For Dell Technologies, an Internet of Things (IoT) strategy has emerged over the last year, addressing the challenges faced by horizontally focused companies when approaching a fragmented market. The tech giant shared its approach during a recent analyst summit, revealing a multi-faceted strategy that Technology Business Research (TBR) believes is thoughtful, sophisticated and likely to help the company grow. The strategy includes a strong partnership network, specific IoT solutions and a growing set of relevant infrastructure components. In short, IoT is important to Dell Technologies because it generates data at the edge of the network. 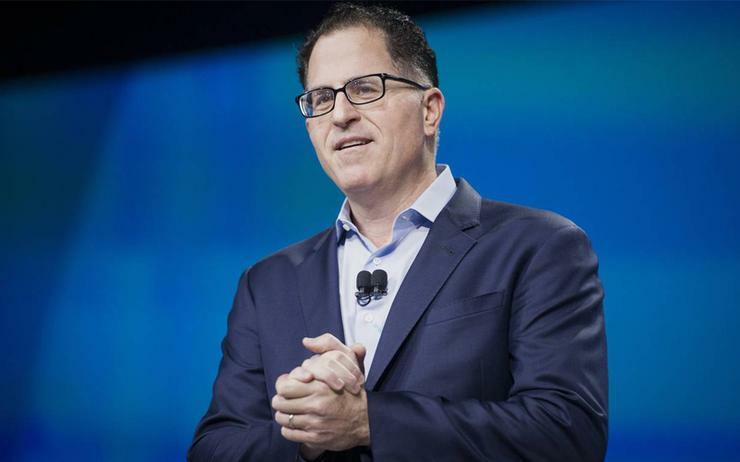 So much so that CEO Michael Dell reiterated that, “AI [artificial intelligence] is your rocket ship and data is the fuel,” but one might just as well say that data is Dell Technologies’ fuel. Dell Technologies’ business is built on customers’ need to obtain and extract value from data. The fact that IoT is edge-based helps with Dell Technologies’ need to maintain and grow its on-premises infrastructure business. While Dell Technologies is a vendor to public cloud providers, its on-premises business is more pro table. Data generated at the edge increases the need for edge storage and processing and makes other on-premises storage and processing more attractive. While other digital transformation technologies such as machine learning and blockchain are not as edge-centric as IoT, they are often used in IoT solutions and they present Dell Technologies with the same problem. This problem centres around the fact that their applications are so diverse and specific to businesses and business processes that Dell Technologies cannot acquire or develop the domain knowledge necessary to create and sell enough specific solutions to address the breadth of the market or the majority of the revenue. For this reason, the vendor prioritised the development of a strong partner ecosystem. Different ecosystem partners bring to the table domain expertise, other desirable technology, or the services necessary to integrate, deploy, and run specific solutions. The vendor first addressed this problem with a series of a dozen “connected bundles,” specific solutions assembled out of components provided by Dell Technologies and technology partners and delivered through a network of services partners. The services partners are Dell Technologies’ channel into this market, and the solutions are provided only through this channel, with Dell Technologies providing support, marketing and referrals. This not only allows the vendor to deliver IoT solutions but also educates services partners and makes them more capable of delivering solutions. While the connected bundles and other point solutions cover only part of the IoT market, they educate both partners and customers, leading to solution expansion and eventually the creation of both custom solutions and more diverse bundled solutions. Dell Technologies is an infrastructure company, and while its bundled solutions include both specialised gateway devices and general-purpose servers and storage, TBR expects the company to build more specialised components incorporating key technologies, specific solutions, and the ability to expand and adapt from the specific solutions. The company is bringing on board domain experts in various opera ons technologies to help with the solutions, which are built on a common base of open APIs and a device management and security layer. The APIs are specified as part of Edge X Foundry, a Linux Foundation open-source project in which Dell Technologies is a founding participant. Jason Shepherd, CTO of Dell Technologies’ Edge and IoT Solutions Group, made a strong case for the necessity of an open layer to allow customers to avoid platform lock-in, and to enable integration across solutions. The management and security layer are provided by VMware’s Pulse IoT Centre. These two layers of abstraction allow flexible deployment in a multi-cloud environment. VMware is a trusted vendor into most IT organisations, and TBR believes Edge X Foundry will enjoy broad adoption, as open common APIs are a necessity in the complex IoT ecosystem. IoT is important to Dell Technologies’ growth and the growth of edge processing but the complexity of the market makes addressing it challenging. Dell Technologies’ methodical approach to ecosystem development and customer development make the company a leader among ICT vendors in bridging the gap between specialised solutions and horizontal offerings, and will lead to growing participation in the IoT market. TBR believes there will never be explosive growth in the IoT market, but that long-term moderate growth will lead to IoT playing an increasing role in the application of technology to business, and Dell Technologies is in a position to be a major player in that rising tide.